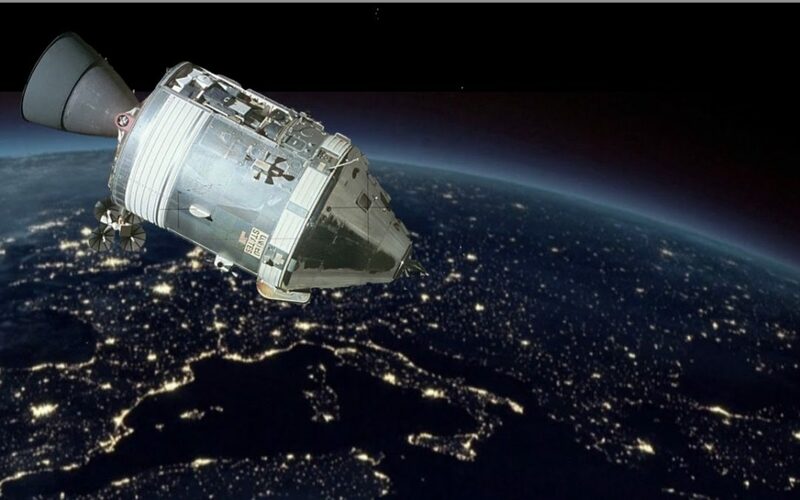 If the international tourism “industry” were a spaceship called Apollo 13, it would, in retrospect, come as no surprise that we’re hearing reports of a problem. Having been one of the insiders sounding the alarm bell for nearly ten years since Conscious Travel was born, see “Good Morning Tourism: Time for your Wake Up Call,(2011)” I am delighted that it’s becoming safer, trendy even, for the topic of growth to be acknowledged as a potential problem. It’s even more encouraging that many of the phrases used by those voicing concern have recently been echoed by the most powerful authority in tourism, the World Travel and Tourism Council (WTTC) whose September article in Medium is titled Why we need to re-define tourism now! confirming that the sector needs to think differently. The WTTC has produced an emotive, high production video to promote their epiphany assuring us of a happy outcome in 2117 as a result of “our working together and developing new ways of operating”. So might WTTC turn out to be be our Houston, our NASA? This is where the analogy with Apollo 13 wears very thin. 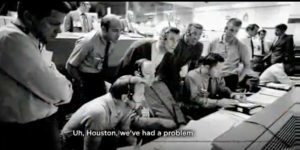 The engineers on the ground in Houston and the astronauts careering through space at unimaginable speed were able to apply the same thinking that catapulted their rocket ship into space to bring it back to earth safely. We do not have that luxury. Furthermore both parties involved in this potential catastrophe were part of the same team, aligned around a common purpose, with a political mandate and budget to match the scale of the endeavour. Our mis-titled “industry” doesn’t operate like NASA at all. No single body is in charge. There’s no HQ we can report a problem to and get amazing back-up support. It’s up to each of us and mobilisation will require a new form of Collective Leadership. The global travel and hospitality “sector” is a network of networks of self-organising individuals, enterprises and agencies whose behavior resembles that of a swarm. 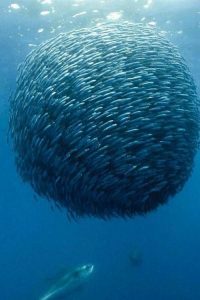 Unfortunately, our swarm lacks the collective intelligence (developed over millions if not billions of years in the natural world) to be able to act with the speed, agility or sheer beauty of our natural counterparts. We’ve much evolution still to do! Despite the pace with which tourism has become a ubiquitous phenomenon (even the Arctic and Antarctic are no longer out of bounds), its diversity is staggering and there are none of the chains of command associated with being a conventional, vertically integrated industry. Until now, any semblance of order and alignment has come from a shared commitment to growth and expansion and the right of capital to exploit land and labour. When that goal is no longer sanctioned by society at large, what happens next? The time has now come for all the disparate groups committed to a more responsible, sustainable version of tourism to join hands and do the work needed to co-create a shared vision for our common future. Talk may be a good place to start but it won’t be enough. The diverse aspects of tourism need to listen to each other more, come to understand the needs and aspirations of the other and develop trust. Because without trust there can be no collaboration. Without a common vision and some shared values, our craft will spin round at much the same speed as Apollo 13. 1. There is no consensus over defining the problem – it’s one thing to acknowledge that a problem exists, it’s quite another to understand its dynamics and scope. The benefits of tourism have been well documented but, by comparison, its impacts and inter-dependencies have enjoyed far less scrutiny and quantification. We don’t need more manuals with checklists of hundreds of measurable actions – the good news is that there’s no shortage of information about what to do. But we do need accessible infographics that show in layman’s language how the tourism ecosystem functions at a macro and micro level so that all participants appreciate the nature of the challenge, begin to see it as the system of interdependent parts it is and “get” the urgency of changing our behaviour. 2. The solutions are controversial and unproven – and to this list we could add unknown. The intensity with which “the establishment” has resisted any discussion of the problem in the past could, in fact, be interpreted as fear of the unknown. As Google found, when they researched the key factor influencing the capacity to innovate, we have to create psychological safety. We have to be able to experiment and fail and learn. We have to be able to trust we can speak our truths without fear of being blacklisted, shut out. We need to apply the same peer-to-peer, democratized thinking that propelled an AirBnB to fame, to tap into the brainpower of the 50 million or so enterprises and 4000 + Destination Marketing Organizations, in order to identify what IS working and envision what could. Fully understanding and systematically communicating the commonalities shared by winners of nearly ten years of responsible tourism awards might be a place to start. 3. Implementing solutions depends on multiple stakeholders – engaged directly in, or supportive of, or affected by its activity. In addition to looking inward and mapping the tourism value network as suggested above, couldn’t we engage partners in other networks that benefit from the success of tourism e.g., the credit card and currency exchange companies, the agriculture and food sector; the telecoms and technology companies? Wicked problems get worse (often exponentially) if not attended to. Like boils they erupt where certain conditions are met. In tourism, they are often associated on the demand side with excessive popularity and congestion and on the supply side with resource scarcity or ecological fragility. So can we identify future hotspots and start to work with them now and not when riots break out in the streets? 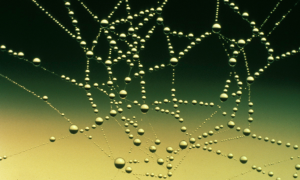 Each wicked problem is essentially unique. Since tourism has been arguing it’s unique for most of its life, even while adopting a system designed for manufacturing, then claiming uniqueness will come easily. Perhaps what will be more difficult is acknowledging the embeddedness of tourism in all aspects of society – as a subsidiary or effect, not only a cause. It’s time tourism opened its doors to more input from the communities on which it depends before not after resistance/backlash manifests. This openness is most likely to happen at the community level and I believe that’s where conscious hosts can be most effective. I will trust in the sincerity of WTTC and be happy to contribute to a collective discussion on the new ways of operating they also believe is necessary. Despite our loosely-coupled, swarm-like nature, I do believe that we have all the talent and good will to make the transition to a new economy that operates in harmony with nature and, yes, tourism can play a role in accelerating that shift. But it will require a collective effort, trust, collaboration and commitment akin to that shown by Ground Control in Houston to bring the tourism sector back safely from the brink.